Spring is finally here! With the weather warming up and Baltimore coming alive, there is no better time to visit the city. 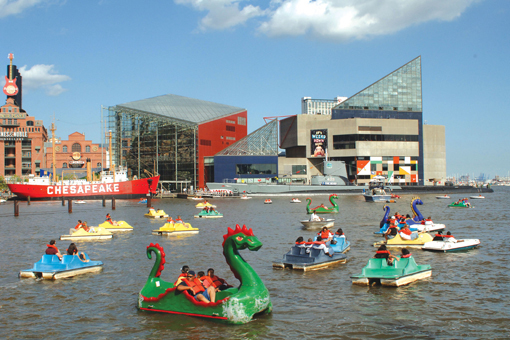 April has much to offer those visiting Baltimore or for locals looking for new things to do! Also, don’t forget that Mother’s Day is coming up in May so now is the time to purchase a gift certificate for mom! To purchase a gift certificate or book a room for Mother’s Day, please call (410) 385-1840. If you are planning to visit Baltimore this spring, book a room with the 1840s Carrollton Inn! Let us provide you with a luxurious welcoming to Baltimore. The 1840s Carrollton Inn is within a short walk of the Inner Harbor, Little Italy and the nightlife at Power Plant Live. Below is a list of great events that Baltimore has to offer. Choose the 1840s Carrollton Inn as your Baltimore Bed & Breakfast for your next stay in this vibrant city! Check out the Baltimore Orioles schedule for more games in April by clicking here! For a list of rooms and availability, click here!